Lausanne-Following the recent decisions by the International Baseball Federation (IBAF) and International Softball Federation (ISF) to merge into a single IF, senior officials from these world governing bodies held a series of meetings in the past two days in Lausanne, Switzerland, to positively move forward with their plans. High on the agenda was the Olympic campaign strategy as the merged body seeks their sports’ (women’s softball and men’s baseball] inclusion on the 2020 Olympic Games Programme. The newly formed organization must also obtain official IOC recognition as the International Federation governing both baseball and softball. In the interim, the baseball and softball leaders continue to actively discuss common long-term plans for the development of the sports. One of the first important decisions taken by the heads of IBAF-ISF was the engagement of Olympic bid specialists, Helios Partners. The Atlanta (USA)-based firm has a notable track record of helping manage winning Olympic bid campaigns. 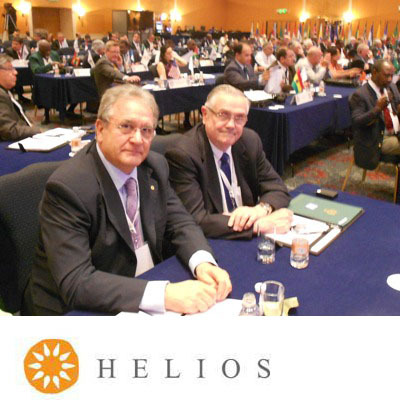 Helios will provide critical support to the ISF & IBAF team on preparing the presentations to the IOC Olympic Programme Commission in December and the IOC Executive Board in May 2013, as well as the overall strategy for the campaign. “We have achieved incredible progress on the merger in a very short period of time, and now we have to really move forward decidedly in other areas”, said Don Porter, ISF President “We needed a highly professional and experienced agency to support our efforts, and we could not think of better partner than Helios”. “By combining into a single IF, we now need to bring our athletes and sports back to the forefront and focus on preparing our case for the exceptional value baseball and softball bring to the Olympic Movement.” said Riccardo Fraccari, IBAF President “We have a great story to tell and Helios is the perfect partner to help us articulate that”.